October. We are a quiet, friendly bunch of folk with a keen interest in the stars, planets and galaxies. Some of you still remember the evening I presented at Halloween some years ago now. 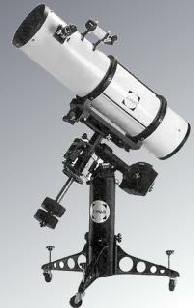 We will have our telescopes set up to observe and photograph the night sky. It is also a time we use to exchanging knowledge and tips with one another. To date I have had a lot of interest logged and it is anticipated there will be approximately 40 tents camped in the park. Cosmos Planetarium also plan to make an appearance for us. I have been grateful to the Pavilion who have agreed to allow us to use their facilities allowing us to make this a place to meet should the weather become inclement. For health and safety I am currently risk assessing to meet the requirements for Perth & Kinross Council. I hope to have all relevant paperwork completed and approval soon. I am confident this event will bring business into Abernethy and if successful, it may be Powrie Park Star Camp will become an annual event in the astronomers calendar. The schedule, at present, means there will be an open evening for people to come along to meet fellow astronomers and view the night sky with the equipment brought along. I understand this park is popular with both dog walkers and children wishing to play on the swings however there will be many tent guy ropes, telescopes and equipment about; I have yet to provide a plan for these visitors, therefore I would ask that anyone wishing to come along make themselves known before entering into the Star Camp area for safety reasons. All this will be subject to permission being obtained from Perth & Kinross Council and the Community Council. Astronomers have an etiquette ensuring consideration for others. To ensure both safety and etiquette I aim to have areas lit with light sticks to show the way into the Star Camp area. Please do not bring torches as some astronomers may be taking photographs requiring very long exposures; pointing a torch at any telescope could ruin the opportunity of a good photograph. I will have more information nearer the time however if you have any questions please do not hesitate to contact me 01738 850930 or 07759 643976. . I hope you will support this event. Friday early afternoon, I with my bag carrier, Edna, arrived at the campsite and as we were the first to arrive I was able to select the prime site for my tent. Edna, to whom I am eternally indebted, remained on site until I had pitched the tent and my considerable amount of gear was safely under cover. We then decided to have a quick look around Abernethy and shortly found a small tea room and had a pot of tea by which time Edna was ready to return to Dundee. I should point out that Edna had absolutely no desire to remain for the week-end and had only accompanied me to help carry some of my gear. She caught the 14:21 bus to Perth and from there on to Dundee. I discovered the next day that the last bus from Abernethy was at 14:21 every day so Edna had been lucky, and I am sure she would have been unhappy with the walk back. As Friday evening drew on it was clear that the sky was not, clear that is, and would remain cloudy for most of the night. Fortunately, a few hardy souls had the foresight to have an ample supply of beverages and the evening was spent in the comfort of the ‘Pavilion’ which has changing rooms and cooking facilities. After a few drinks and some convivial company, I retired for the night, leaving my companions to enjoy the late company. Unfortunately, the few drinks I had enjoyed, along with the rapidly dropping temperature, did nothing to help me sleep and I had to visit the gents several times, each time my boots got wetter and wetter in the damp grass. At about 4am after shivering for two and a half hours in my uncomfortable mummy style sleeping bag, I was obliged to make another trip to the gents with my sopping wet boots and when I opened the tent flap and crawled out, was met with the most glorious sight, stretching across the sky from the West to East was the Milky Way, faint but clear, and in the South East, like a beacon stood Orion, belt aglow, and the incredibly stunning Pleiades ), truly the jewel of the heavens. Desperate to get a picture, I returned to my tent to find my camera. Sadly, the battery must have suffered from the cold and refused to work and as my toes were beginning to freeze from the ice forming inside the boots I returned to the tent and got dressed. As my boots were by this time soaking wet, I decided to go to the kitchen and sit in the relative warmth of the pavilion. I went to Perth that morning and purchased a pair of waterproof boots and a double sized sleeping bag, the only one available in the local store, returning just as the camp was coming alive. The dozen or so tents on Friday night had grown to 15 or more and as the afternoon continued more people arrived and set up camp. I set up my Lunt solar telescope and found the sun, but was not happy with the image, small prominences and filaments were visible but there was something not quite right with what I was seeing. The Planetarium arrived and was set up in the main hall and the local populace were enjoying the shows and looking at some of the telescopes on display, so I was kept rather busy showing the sun. As the evening drew in and my telescope was packed away I took to the main hall, hoping to see a planetarium show but was told that was it for the day. I had a meal and when I went into the field there were some clouds covering most of the sky but I was shown photos taken by all and sundry of the sky when it was clear earlier. Nathan had some excellent views taken with his mobile ‘phone. Just my luck, missed it all! Patchy cloud hid most of the sky and like an idiot I assumed it would continue like that all night. Thus, I decided again to retire and at about 2.30am, as I opened the tent flaps for one of my regular visits, the same sight that greeted me on Saturday morning, greeted me again. This time it was even more glorious, the milky way impossibly bright and I am sure I could make out The Orion Nebula with my bleary, naked eyes. This time I was determined to get a picture. I rummaged through my gear and found the DSLR and switched it on. Nothing! There was no battery in it! Search as I may I was unable to find any batteries although I had packed three myself. I stood there shivering for a long time simply scanning the sky, hardly able to recognise some of the constellations with which I had become familiar. There were so many bright stars it was hard to determine what exactly I was looking at. Finally, dawn approached and the stars began to fade, so I went into the pavilion and made breakfast. The sky remained clear for the best part of the day and my solar ‘scope was put to good use, even though I was still not happy with the view. People were still looking but I was worried that perhaps something was seriously wrong with the optics. Early in the afternoon, Ken Kennedy arrived, and I asked him to take a look and see if he could suggest anything. He looked and agreed that there was something not quite right. The prominences were still visible, as was the surface detail, but not as good as it had been in the past. He suggested that it might be the secondary image we could see and removed the eyepiece. Peering down the tube and with Nathan looking at the shadow formed on the front optics Ken found the correct image and with the eyepiece replaced the sun could be seen in its’ full brilliance once again. I was about to re-align the sol searcher when several people came along wanting to view the sun now the ‘scope was back as it should be, so for the next hour or so people gathered around taking pictures with their mobiles. Finally, I asked if I could try and get my sol searcher aligned and loosened the screws, just as the sky clouded over! Fast moving clouds being the order for the rest of the day I was unable to align the sol searcher which remained loose until I returned home the next day. With the sky looking dull, I decided to try and get a look at a planetarium show and was fortunate to get to the final show of the weekend. We were promised an immersive, all round surround sound experience, I for one was not disappointed. We were treated to a film about the search for extra-terrestrial life with stunning 3D 360degree graphics followed by a look at the night sky and finally another short film, again with amazing all round vision. Early on Monday morning as Nathan still slept I had breakfast and started clearing up the hall and emptying rubbish. Soon our friendly organisers appeared and in no time the pavilion was spick and span, just as Edna arrived to help me carry my gear back to Dundee. I would like to thank the organisers, the local people who allowed this camp to take place, all the friends I met and Edna. Would I go again? You bet I would.